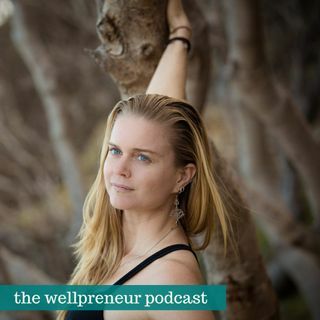 Today I'm speaking with Delamay Devi, yoga teacher and digital nomad with an incredible story. As a perfect continuation on the previous episode on how to create more freedom and flexibility and what it means to each and every one of us, Delamay shares how she structured her life and business. What's amazing is that for the past 9 years she's been following the sun, so she hasn't had a winter in 9 years. Both her and her husband work online and offline, they move through ... Más informaciones various locations around the world throughout the year where she teaches yoga, teacher training, mentorship, and runs retreats. I know that the idea of running retreats is a dream for so many of you, and even recently we had some questions in our Facebook Community on how to plan a retreat. And yes, it can feel a bit daunting on how you are going to pull it together which is why it's always helpful to hear an insight from someone who constantly organizes them. Which is why with Delamay I'm talking about retreat planning in detail. Something else I really took away with this interview is a sense of alignment and how you cant just model your business based just on what everyone else is doing, but intentionally set the boundaries and the shape of your business based on what's authentically you. I would very much love to talk to you about this interview in our FB Community, so jump in and leave us a comment there!